With very little encouragement, a professional colleague of ours will enthusiastically explain why her personal physician is an outstanding provider. As it happens, her hero-physician is highly skilled, credentialed and experienced. But one of the top reasons that she will recommend her physician is that the practice actively uses text messages and patient-physician email to enhance communications and the service relationship. If her doctor is running late for an appointment, the practice will notify her via a text message. When lab results are available, a notification email arrives. And if she—or any other patient—has a routine question for the doctor, a secure email system enables a patient-physician interaction. For this patient, and many others in this practice, the benefits of email and text connectivity deliver a uniquely higher level of service than the competition. What’s more, this patient (and probably many others) enthusiastically makes referrals and recommendations. Of course, excellence in clinical care and positive outcomes are significant considerations. But from a patient’s perspective, a clearly differentiating factor is that this practice has stepped into the 21st century, using the contemporary digital tools that patients expect. Surprisingly, fewer than one in three doctors in the US use email for patient communications. This also means that the majority of medical practices or hospitals have an opportunity to grab a competitive advantage by embracing patient-physician email. 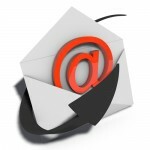 For additional insight, read: Physician Entrepreneur: Time to Embrace Patient Email Access. The post Patient-Physician Email: An Untapped Competitive Advantage appeared first on Healthcare Success.